Do you suffer from dry eyes? This is a common but unpleasant symptom that cannot technically be cured, but there are a number of things you can do to treat its causes. Here we’ll explore the benefits of flaxseed oil for dry eyes. Dr eyes can be caused by a number of factors. Temporary dry eyes are a common side-effect of laser eye surgery. This typically clears up after a few weeks. A condition called Meibomian gland dysfunction can cause dry eyes in many patients. It happens when a gland producing an oily substance called meibum gets blocked. This stops the meibum from keeping eyes hydrated and causes tears to evaporate, leading to dehydration. ‘Dry eye syndrome’ is often a reaction to environmental and lifestyle issues, with too much screen time a frequent factor. Contact lenses can also cause dry eyes if worn for too long without a break. Diets deficient in Vitamin A and omega-3 fatty acids are another possible cause to consider. How does flaxseed oil help? Flaxseed oil is rich in omega-3 fatty acids. These essential acids are called essential for a reason: we really need them in our diets, because the body can’t make them on its own. 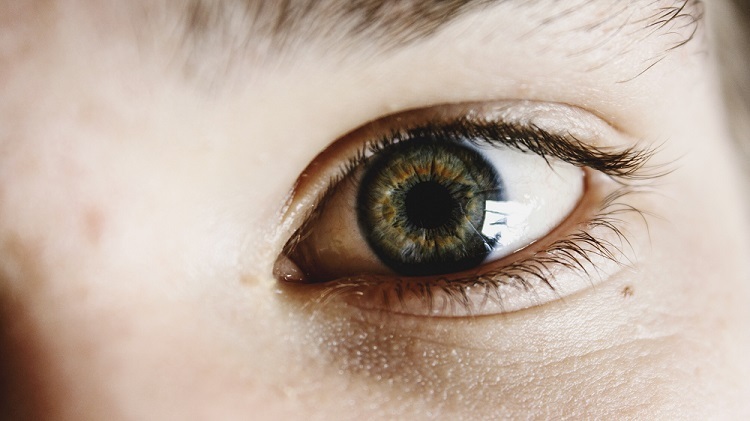 Omega-3 supplements have been shown to reduce the symptoms of dry eye syndrome when taken in capsule form, although studies have focused on omega-3 derived from fish oil. Omega-3 is an umbrella term for three different types of essential fatty acids, called ALA (Alpha-linolenic acid), EPA (eicosapentaenoic acid) and DHA (docosahexaenoic acid). ALA is a plant-based omega-3, with good dietary sources including flaxseeds, vegetable oils, walnuts and soya. EPA and DHA are found in fish and seafood. Although we often talk about omega-3s as one big group, it’s actually the EPA and DHA fatty acids derived from fish that are proven to have the biggest impact on our health. While ALA can form a healthy part of our diets, the body has to work harder to convert it into EPA and DHA. The vegetable oils that are high in ALA also tend to be high in omega-6 fatty acids, which can undo the health benefits that omega-3 acids bring. With this in mind, most patients with dry eyes will opt to choose fish oil supplements as the best source of omega-3. Vegetarians who prefer not to ingest animal-derived foods or medicines may prefer to use flaxseed oil supplements as a source of omega-3, rather than fish-based foods or capsules. Adding ground flaxseeds to the diet rather than taking capsules can be a cheaper way of increasing your omega-3 intake. The benefits of flaxseed oil for dry eyes should also be discussed with your GP before you embark on a course of supplements.